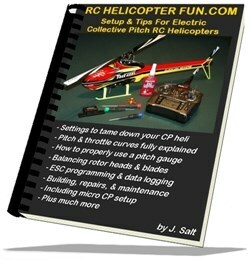 Hi, I'm John Salt, the owner of "RC Helicopter Fun.com". My own privacy is very important to me when I visit other websites; so I fully understand how important your privacy is to you while you are visiting my website. I strive to maintain the highest standards of honesty, fairness, and integrity within the operations of my website, and I apply exactly the same standards when I deal with the information you trust me with. I’ve taken steps under the General Data Protection Regulation (GDPR) to make sure any information you give me is not only secure, but also within your control. Europe's General Data Protection Regulation (GDPR) was introduced specifically to protect the data of individuals. Although at present it only protects people in Europe, my view is that its high standards will soon be a benchmark of online protection & openness for everyone, worldwide. I value every single visitor who spends time on my website. I therefore want all my visitors to have the same high level of privacy protection, control, and link transparency that GDPR compliance mandates; regardless of where you call home on this big blue ball. 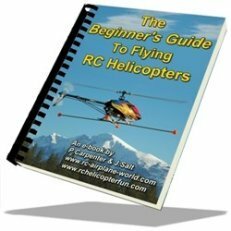 This page outlines the types of personal information I receive and collect when you use RC Helicopter Fun.com, as well as some of the steps I take to safeguard information. This will help you make an informed decision about sharing personal information with me. RC Helicopter Fun.com uses information from Google Analytics to track the number of visits to the website, browsers and operating systems. No personally identifiable information is obtained from these cookies. I use the information that Google Analytics generates relating to my website to create reports about the use of the site. These reports allow me to update the site and improve your usage of it. You can set your browser to accept or refuse all cookies automatically, or notify you when a cookie is being requested. Taking this action "should" not cause a problem with the continued use of my site. However, If you choose to refuse RC Helicopter Fun.com's cookies, you may not be able to fully experience the interactive features of the site. 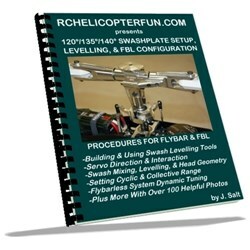 I may receive an affiliate commission for some of the products/services sold on RC Helicopter Fun.com. This money is used to help cover my website's operating costs, and continue to give visitors to my site, all the informative and free content they have come to expect over the years. RC Helicopter Fun.com may collect personally identifiable information from you in a variety of ways, including, but not limited to, when you visit our site, register on the site, or fill out a form, and in connection with other activities, services, features or resources I make available on my site. If you complete a contact form, I will require your name and your email address, and will ask for information relevant to the purpose of the form. If you submit content to me, I may ask for your name and email address. Photos you include with your submission, or details in your submission, may personally identify you. If you purchase a product or service from me, I will collect your name & email address for e-goods. I will also collect your billing/shipping address if it's a hard good I need to ship to you. If I make material changes in the collection of personally identifiable information, I will inform users by placing a notice on my site. I will use personal information received from you for internal purposes only and will not sell it or provide it to third parties. I may collect non-personally identifiable information about you whenever you interact with my site. Non-personally identifiable information may include the browser name, the type of computer and technical information about your method of connecting to my site; such as the operating system and the Internet service provider you used, and other similar information. If I sell RC Helicopter Fun.com, the information I have obtained from you through your voluntary participation in my site may transfer to the new owner as a part of the sale so that the service provided to you may continue. In that event, you will receive notice through my website of that change in control and practices, and I will make reasonable efforts to ensure that the purchaser honors any opt-out requests you might make. RC Helicopter Fun.com shall not be held responsible or liable for, but not limited to, any special or consequential damages that result from recommendations, use of, or the inability to use, any of the materials, products, or information on, or supported by this site, or any linking third party site. RC Helicopters are not toys! They can be dangerous to your health and those around you. Serious injury or death is often the result of ignoring the dangers & risks involved in flying RC helicopters along with exposure to the chemicals, electronics, materials, and tools that are used directly or indirectly in this hobby. Risks go up substantially when getting complacent & overly comfortable and ignoring common sense. 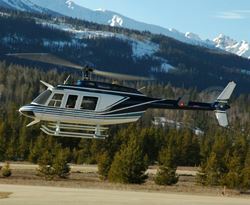 RC Helicopter Fun.com will not be held responsible or liable for, but not limited to, injuries of any sort, crashes, and property damage that were caused directly or indirectly as a result of this website, my eBooks, or by any third party site's products, advertising, information, recommendations, or suggestions. Flying RC Aircraft is a PRIVILEGE, not a RIGHT! All textual content and many graphics included in this site are the property of John Salt and RC Helicopter Fun.com and is copyrighted as a collective work under applicable copyright © laws. In short - no information in whole or in part, may be reproduced or copied in any format without written permission from John Salt & RC Helicopter Fun.com. If you do wish to use material off my site, please contact me through my contact form. Any website or publication that is found to include material from my site without written permission will be addressed and dealt with to the full extent of copyright laws and the DMCA (Digital Millennium Copyright Act).